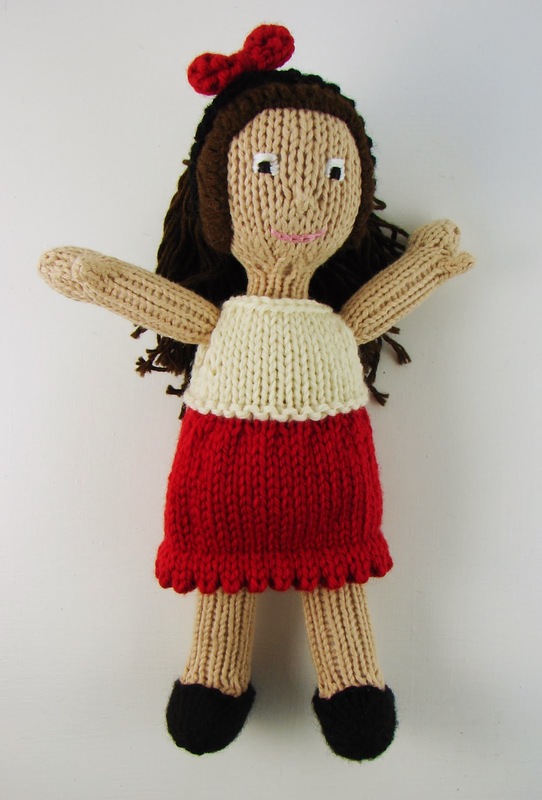 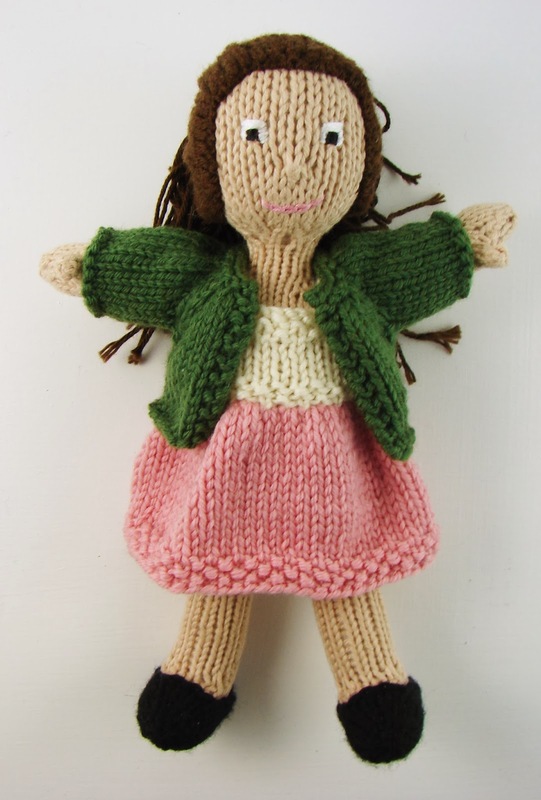 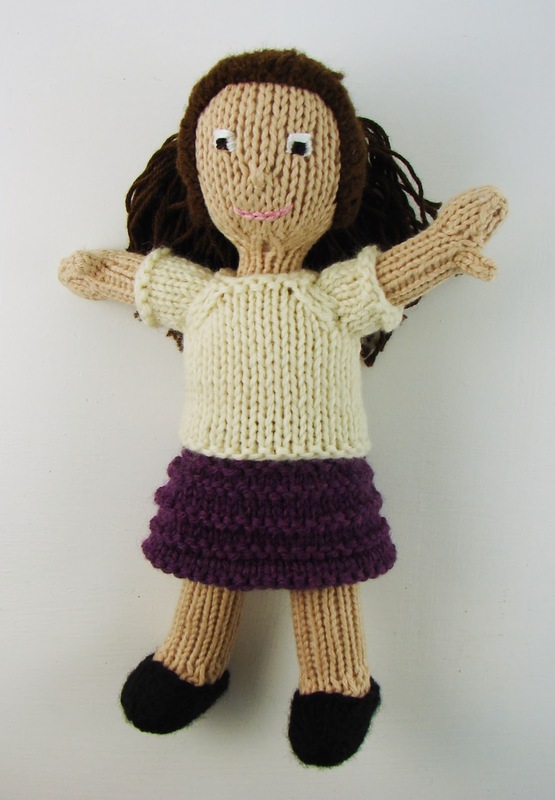 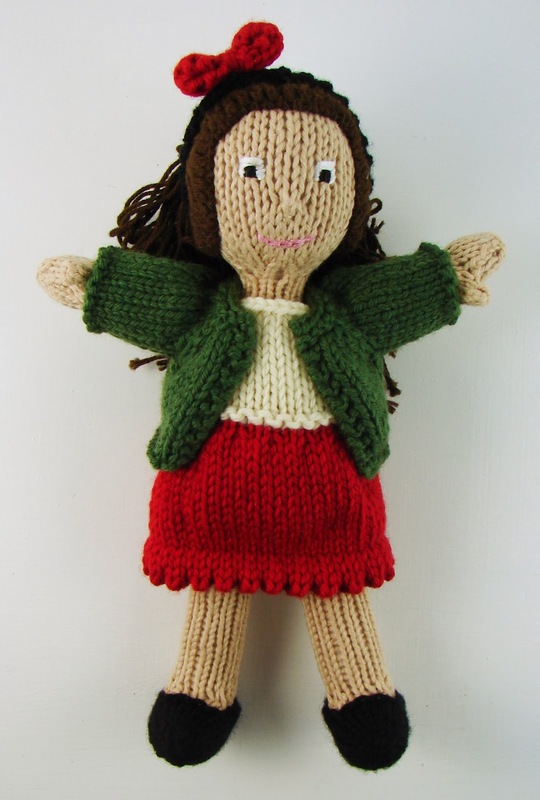 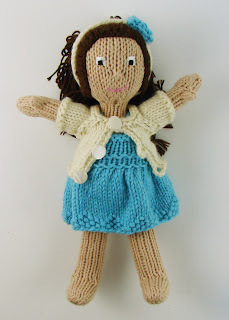 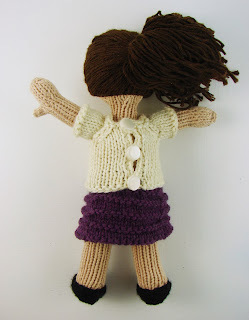 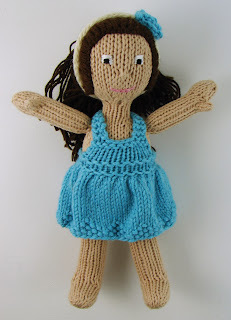 For my niece's Christmas gift I decided to use one of the dolls that I had been working on earlier in the year. 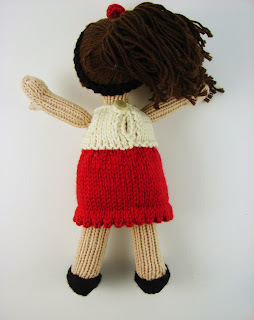 I had a few dresses already finished and was able to whip out a couple more in the days before Christmas. 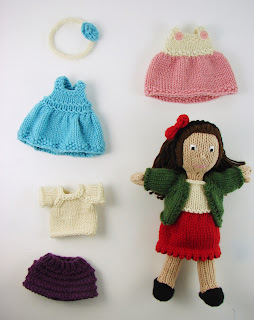 There are so many possibilities for outfits and they are so quick to knit it was easy to come up with a nice set of clothes. With her doll I included three dresses, a skirt, a sweater, a shirt that can also double as a sweater, two headbands and a pair of shoes. 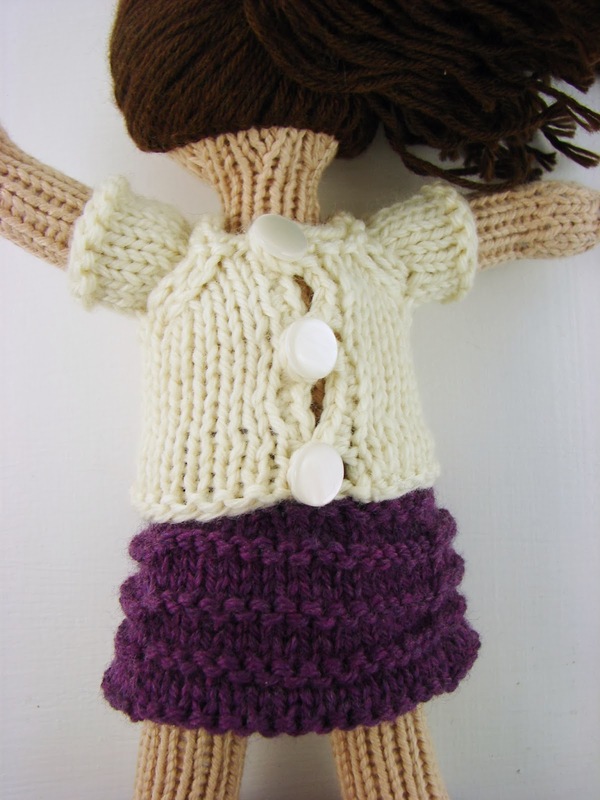 The doll was wearing a lovely Christmasy outfit when I gave her to my niece. 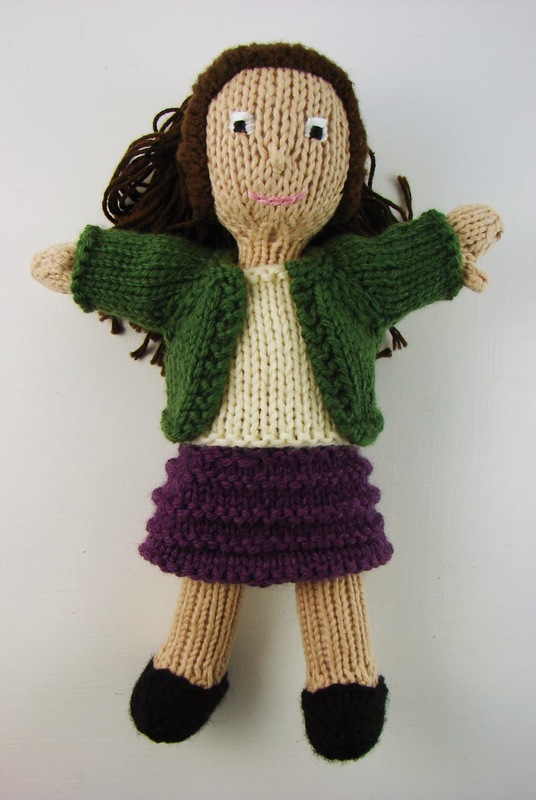 She absolutely loved her new doll! I've sort of been taking a break from the doll project to work on other things, but I'm sure I'll be working more on them in the future.